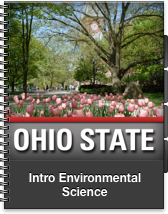 “Intro Environmental Science,” taught by Brian Lower of CFAES’s School of Environment and Natural Resources, ranks fourth on the list of Ohio State’s top iTunes U courses in 2013, according to the university’s Office of Distance Education & eLearning. Read more about the list and the fast growth of iTunes U at Ohio State here. 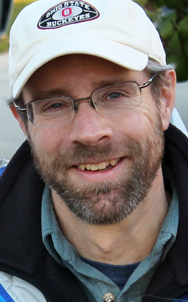 Lower is an assistant professor specializing in environmental microbiology. 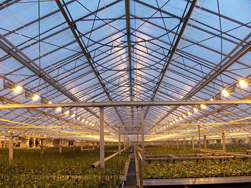 The LEED green building program and a similar new program for sustainable landscapes, called SITES, are the focus of the next monthly breakfast program of the Environmental Professionals Network (EPN). Read the press release. Download the flier (pdf). Register here. 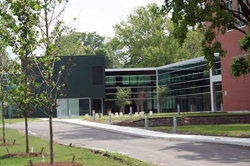 The event takes place at the Nationwide and Ohio Farm Bureau Center, shown here, the first LEED-certified building at Ohio State. 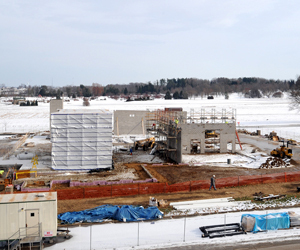 EPN is a service of CFAES’s School of Environment and Natural Resources. 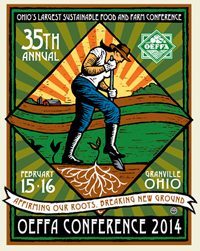 Online registration is open for Ohio’s largest sustainable food and farm conference, the 35th annual conference of the Ohio Ecological Food and Farm Association (OEFFA). Many CFAES faculty have previously presented at this conference. The event has sold out in the past, so organizers suggest registering early. 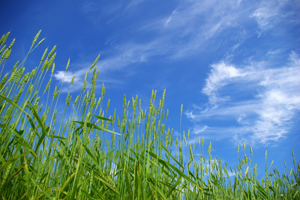 Here’s how spreading gypsum on farmland can benefit food production. 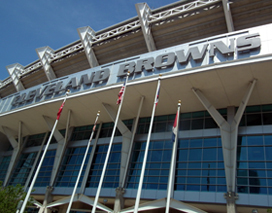 And, from an earlier story, here’s how it can help Lake Erie. 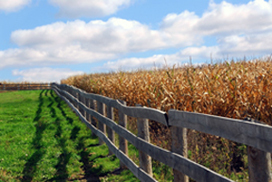 The 14th annual Ohio Farmland Preservation Summit, which this year features a program track specifically for farmers, has been set for Feb. 5.